There is no doubt that the invention of the corporation has created immense prosperity and created great fortunes. Just how do they work? They allow people to invest in a project at arm’s length. No matter how badly the project is managed, the shareholder is not on the hook for any greater amount than his investment. This allows someone to invest in a company without needing to carefully supervise it. The selling of shares makes it possible to for people to quickly divest themselves of a project if they need the money or think they can invest it better somewhere else. There is a dark side to corporations as well. The managers of the company are required by law to do whatever it takes to make the most money. They are not permitted to consider the interests of the employees or the customers, or the community, other than as it reflects on profits. This, of course, makes them do many foolish, immoral and illegal things that the shareholders might not approve of if they were aware of the decisions. Corporations are required by law to destroy the environment, pollute, pay people below subsistence wages etc simply because those actions mindlessly make more money in the short term. When people do illegal acts on behalf of a corporation, sometimes the corporation is punished with a small fine. The employees themselves are not criminally charged, even when their actions lead to multiple deaths. Corporations protect all manner of what would normally be considered murder from prosecution, e.g. give someone a drug or chemical they know is poisonous. The corporation looks on fines much the way it does taxes and decides on an economic basis when it pays to break the law and when to obey it. Since the fines are usually nominal, usually it pays the corporation to break the law and pay the fine. Many Americans have an almost religious awe about corporations and believe that if left to their own devices, all would be well. This, of course, is nonsense, since corporations are single minded. They work to only one goal, maximising profit. They can’t by law, take other factors into consideration. Regulation does not hurt a corporation so long as there is a level playing field. The cost of conforming with say an anti-pollution law is passed on to the consumers. Without regulation, the cost of the even more expensive cleanup is passed on to the taxpayers generally, which is unfair since they did not enjoy the product. It makes sense to make the polluter clean up so that the clean up is included in the product’s true cost. Since corporations work solely to maximise profit, they spend considerable sums on advertising to encourage people to be wasteful and to consume recklessly. In a planet with exploding population and dwindling resources, any form of waste is suicidal. Corporations concentrate political power. They control what governments do, even when the people are firmly united against a policy. For example, Bolivia privatised its water supply and made it illegal to collect your own rainwater. The private company gouged Bolivians for 1/4 of their monthly income. In the United States, defence corporations push the USA into endless expensive wars and preposterously high military spending, with none of the usual accounting controls. Corporations concentrate wealth. They then use this wealth to buy up the competition. Agriculture in the USA is controlled by only 5 companies. Farmers have a choice of only two places to sell their products typically. The company decides the price and gradually puts the farmer out of business and takes over his land. Look at the label in your supermarket. Chances are it will say somewhere Kraft/Philip Morris/Altria (they change their names to hide what they are doing) or Nestlé. We created the corporations for our benefit. Now they have grown into mega-monsters and are controlling entire countries for their benefit, doing immense damage in the process since they don’t take into account any other value than immediate profit. We need to regulate them globally. It won’t hurt them despite their squealing. We need to make fines high enough that it does not pay to break the law. We need to make people who kill or harm others while employed at a corporation to be also personally liable. It may also be time to make shareholders pay fines when their companies misbehave, e.g. by confiscation of a percentage of stock, to encourage shareholders to pay better attention to what their companies are doing and ride herd on them. We have to put a stop to corporations buying politicians. We need to cap donations to hard and soft money from any board member and not allow corporate donations or freebies at all. To take your county back you must clamp down on both legal and illegal bribery. This also means forcing fairness on TV stations so that can’t bribe with biased coverage. It is bad enough with corporations able to use their advertising dollars to influence editorial content. 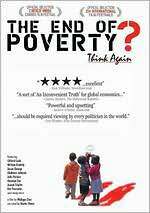 This is the most popular documentary in Canada. 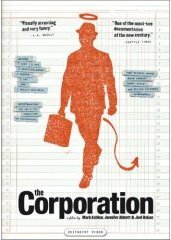 It explains the good the bad and the ugly about corporations. You can visit the movie website. This book is simple and somewhat repetitive. It argues five main points. A vigorous middle class is essential for democracy. Throughout history, the elites have done battle to eliminate the middle class and scoop all the wealth for themselves. Starting with Reagan, the lower and middle classes in the USA have become poorer while the elite’s wealth has exploded into the stratosphere. The elites tell all manner of lies to trick the middle class into giving up their power and wealth to the elites. government can run things, via representatives responsible to the people. corporate CEOs can run things, responsible only to their shareholders. When you consider the alternative, big government managing society does not look so bad. Hartmann argues that historically the wealthy elite have always worked to eliminate the middle class and hence stomp out democracy. They can then run things for their own ultimate financial benefit. We are going through a period now where the middle class is collapsing as a result of the corporatocracy and wealth of the tiny elite at the top is exploding. Since they control the media, they spread all manner of myths that make people vote against their own self interest in favour of those of the elites. The book also discusses how the war business hijacks government to provide it with endless streams of money for perpetual unnecessary war.